July 10, 2011, Washington, DC: This origins of this project are at least partially rooted in San Francisco, circa 2003. 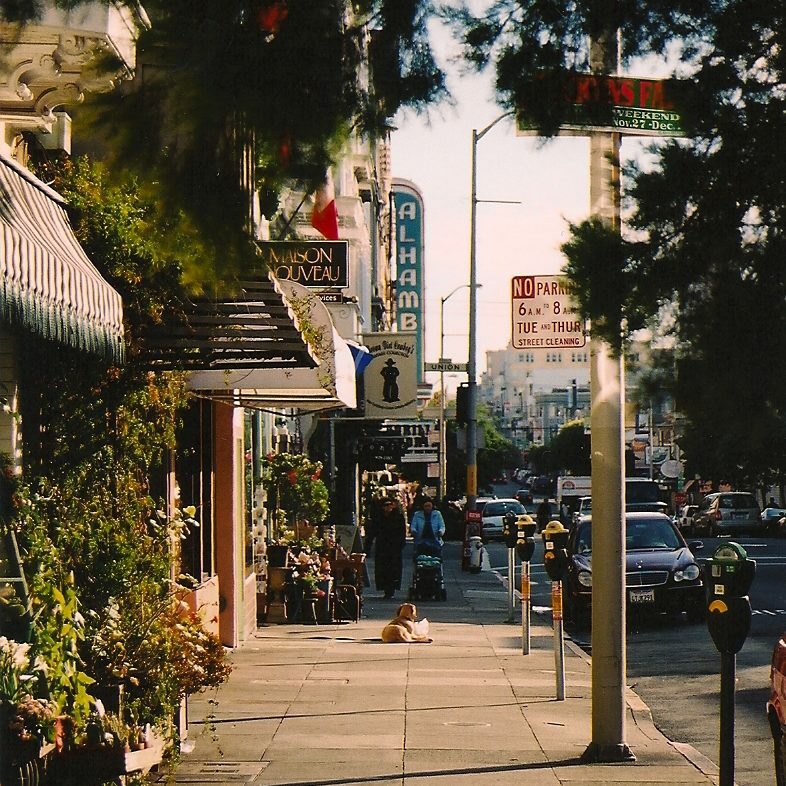 At that time, I was an aspiring writer living on San Francisco’s Russian Hill. Caffeinated to the hilt at Royal Ground coffee shop on Polk Street, I would submit query letters to the editors of travel publications far and wide recounting my adventures on backcountry trails from British Columbia’s Stein Valley to the tiny mountain towns of southern France’s Valles de Bain. Not one of those travel pieces was every published. Most of them weren't any good. As it turns out, the only remotely compelling travel article I ever wrote at Royal Ground was an essay about Polk Street itself. Royal Ground on Polk Street holds a special place in my heart not only because it makes the world’s best lattes, but because it was a place where my creative juices were always flowing. The morning I wrote that essay, I was socked in by an thick fog. It was early. Instead of spending that time describing someplace else, I noted the typical rhythms of my street and watched my neighbors carry on with their day. I knew how my neighborhood lived and breathed. I knew its quirky characters. And I observed what was right in front of me. That essay conveyed a sense of place I couldn't come close to conveying about the other places I was trying so hard to document. The lesson I’ve taken away from writing that essay is that to truly know a place well enough to introduce it to other people, you need to do more than just stop in. You need to watch it inhale and exhale. You need to be that person who's always being stopped and asked for directions. Writing about a place doesn’t turn out particularly well when you’ve only been there once. In short, I learned I was writing about the wrong places. It turns out it’s far easy to tell others about a place called home.